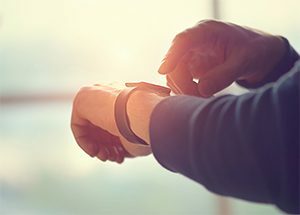 Qualcomm released a new processor for smartwatches that includes an option to connect to cellular devices. The new Snapdragon Wear 3100 processor features an ultra-low power hierarchical system providing enhanced interactivity, new personalized experiences, and improved 4 to 12 hours of battery life depending on the display, battery capacity, and device type. The platform can also pair with the Snapdragon X5 LTE modem, allowing it to offer 1 Gbps peak download speeds. Google’s Wear OS smartwatch manufacturers have used the Qualcomm’s Snapdragon Wear 2100 chipset for the past two years, and will now upgrade to the Snapdragon 3100 chipset. The new chipset comes in three variants targeting smartwatches with Bluetooth and Wi-Fi, Global Positional System (GPS), and 4G LTE (Long-Term Evolution). The three options ensure greater diversity within the smartwatch market.